Are you a newbie to the drone industry and looking to amazing entry in quadcopters world? 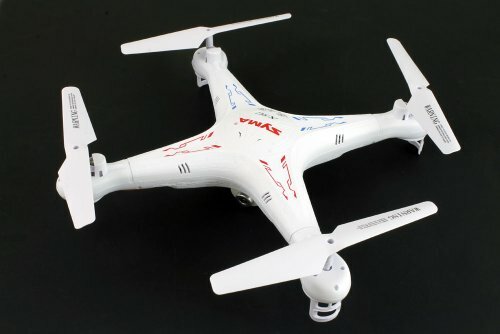 Searching for beginner drones in low budget? Here you can get the updated list of Top 10 Best Drones you can buy for less than $ 50 2019. There are many such types of drones in the present drone world. 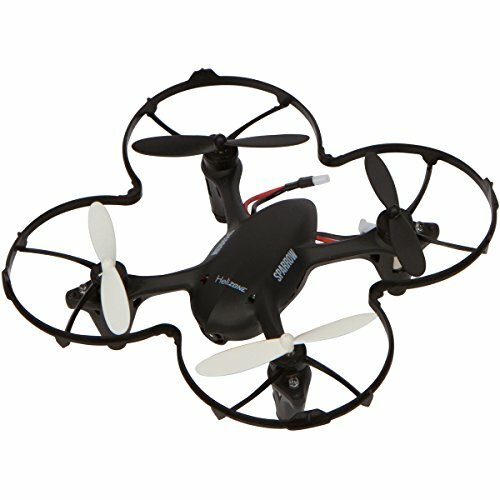 I am going to help you in choosing Best drones under $50. These drones are used in various applications such as to learn flying drone, aerial photography, etc. Going through this article, you could able to figure out your best drone. The following are the best drones under $50 which help you to learn flying a drone and welcomes you to the world of quadcopters with their low price. You can see many drones with or without cameras in the present days. The best drones with a camera and without a camera are sorted out in this article so as to give you a quick analysis about drones under $50. RC Cheerson CX-10C is the smallest toy drone with a built-in camera. The Cheerson CX-10C drone is a ready-to-fly quadcopter. With the 0.3MP camera, you can shoot the video for 2.5 mins. A 120mAh tiny battery is included with the Cheerson quadcopter. The maximum flight time of Cheerson 10C is 4-8mins. It consists of LED lights on the four arms So it is visible even during night hours. CX-10C Cheerson quadcopter comes with 3-speed mode namely Low, Medium, High. If you are a learner, the Low and Medium modes will help you in flying the drone for the first time.This 2.4 GHz Cheerson is the best quadcopter for aerial photography and recreational use to make as a hobby with the lowest price. Hence, Cheerson toy drone is one of the best inexpensive drones with a camera. It can flip in any directions. Flight time is about 4-8 mins. Hubsan is one of the popular brands in making drones which offers drones with a camera and without a camera. The Hubsan X4 H107C quadcopter will come with a built-in 2MP camera, so can take HD pictures and videos with the Hubsan 720p camera drone. It has two flight modes i.e. normal and expert for beginners and professionals respectively. It has features like GPS and altitude hold. A 3.7V 380mAh Li-Po is included with the 2.4GHz Hubsan RC drone, the charging time of the battery is 30 mins. The flight time of 2MP Hubsan x4 H107C drone is about 9 min which is perfect for beginner flyers. It flies both indoor and outdoor environment. Hubsan X4 H107C supports a memory card upto 64GB. Therefore, Hubsan X4 H107C is one of the best hobby drones with a camera. Syma is one of the best drone making company in producing toy drones. It is a small ready-to-fly quadcopter which performs flips in all directions. The Syma X5C Explorer has a built-in 2MP camera with which we can shoot HD images and videos. It also comes with a 4GB memory card to store the drone flying videos and pictures. The flight time of Syma X5C UAV is about 7-mins. You can enjoy flying 2.4GHz Syma X5C both indoor and outdoor environment. The 6-Axis Gyro stabilization will give stableness to the drone in heavy winds. Hence, this RC Syma X5C Quadcopter is a pretty small thing with 720P camera for aerial photography. Syma X5C is one of the best entry level drone with a camera for photography. HD camera of Syma X5C has 720 pixels. 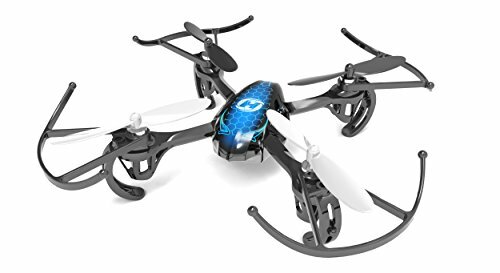 Helizone Sparrow mini drone is one of the toy drone available in lowest price. It is equipped with a 2MP camera and one Rechargeable 3.7V 400mAh Li-Po battery. Flies around 6-8 mins with a full charge of battery about 90 mins. 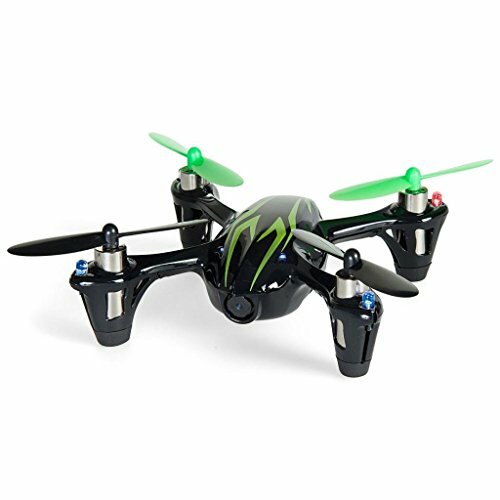 The Helizone Sparrow Mini Quadcopter has a 6-Axis Gyro stabilization which gives the stability during flying. Helizone is having advanced features such as Headless mode, one key return home, and 3-speed modes i.e. low, medium and high speed. It performs 3D flips and rolls in both indoor and outdoor places. The control range for Sparrow mini drone is 100m. Hasakee is not a well-known drone brand but introduced a pretty neat little drone with great design -Mini RC Helicopter. This Hasakee Mini Drone available in 2 main colors – blue and yellow. 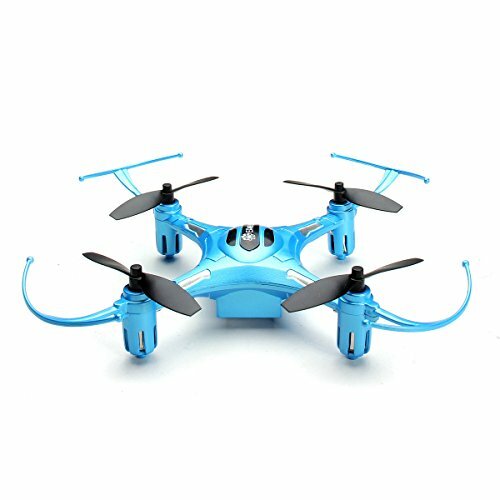 Hasakee Mini RC Helicopter Drone 2.4Ghz 6-Axis Gyro 4 Channels Quadcopter With FPV Wifi Camera, makes up for a great appearance. Another cool thing about the Best Drones Under $50 it offers live FPV with 0.3 mega pixel camera. This is an outstanding feature in the price range of $50. Hasakee Mini Remote Control Drone equipped with the headless mode, 2-speed modes, and one key 360 rolls. This is a great looking drone with plenty of features and admirable specifications. What else could you want from the best budget Drones just over $35? 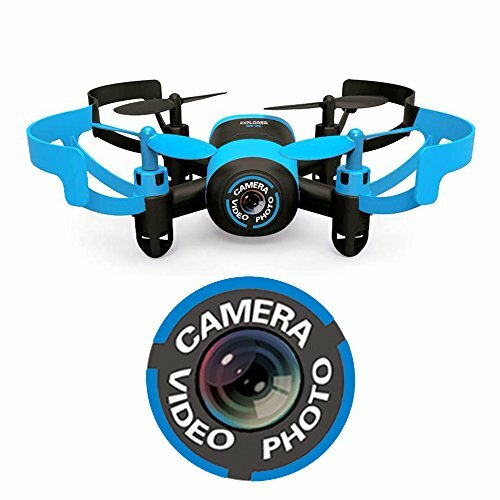 Also known as Blue Bee, this Super Mini Drone is Best Drone For Beginners, Kids, Drone trainers. Buy drones for kids on Amazon with 0.3MP FPV Camera. Enjoy live video feed with the iPhone or Android Smart mobile device. Built-in AIR PRESSURE SENSOR gives When You Push the Throttle Stick and Then Release, the RC Drone Will Automatically Set the Height. It makes the drone easy to control and suitable for Any Level of Players. Four channel H107 Hubsan aircraft is one of the most cost-effective small drones in the present market. The 2.4 GHz Hubsan X4 drone made up of Plastic material. Hubsan is used both in indoor and outdoor areas. This beginner drone is a tiny quadcopter which is less than our palm size. The Hubsan Remote controlled quadcopter is ready to fly model which is easy for beginners to operate. 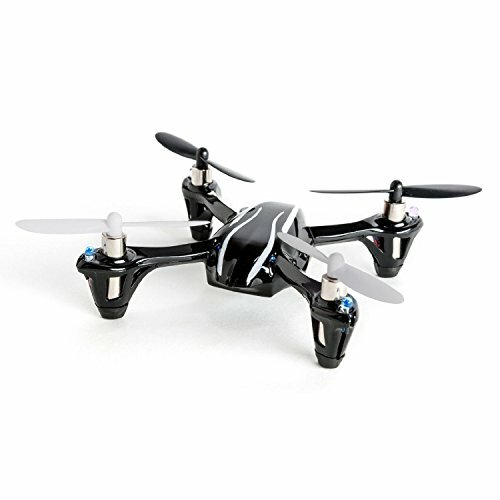 This palm-sized Hubsan Drone consists of four LED lights placed adjacent to rotors, to experience better night flying and X4 H107L Hubsan toy drone is available with various attractive colors like black and white, black and red, black and green. Hence, Hubsan H107L is an affordable drone for beginners to learn flying a drone. Eachine H8S Drone has also belonged to the family of mini-drones and it is a Ready-to-fly drone. It offers 3-speed modes and has the features like headless mode, one key return home. A 220mAh battery is included with the Drone which gives the flight time of 5-mins on a full charging of 35 mins approximately. It performs 3D flips in inverted flight. The Control distance of 3D Eachine H8S Mini drone is 30m. You can fly both indoor and outdoor areas. It is Definitely well-built drone under $50 for beginners. Eachine is a cost effective drone. Blade pico nano drone will help you enter into the world of quadcopter hobby. 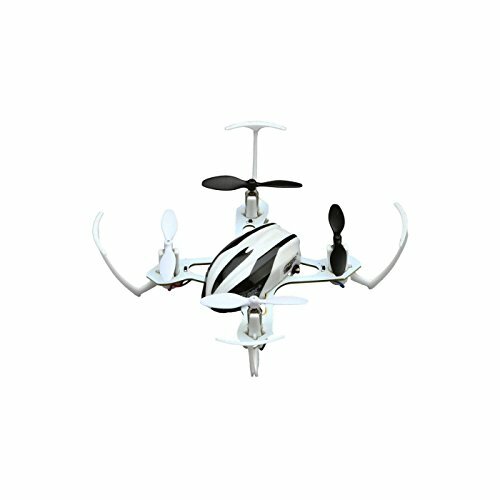 QX Blade Pico Quadcopter looks cools, which you can fly indoors and outdoors based on your enjoyment. This nano drone comes with propeller guards so as to protect your flight during crashes. A rechargeable 80mAh battery will give a flight time of 5 mins on full charge. Therefore, Blade pico nano drone is one of the best small drones for learning a drone. Good fliping functions i.e. single or double flips. Works both indoor & outdoor. Can be effected by wind when flying outdoors. The flying time of Holystone HS170 RC drone is 6-8 mins. It has 6-Axis gyro stabilization which gives stableness to your flight. The control range is 30-50 meters. Holystone HS170 is an ideal drone to learn flying a drone for beginners. Therefore Holystone HS170 drone is one of the starter drones to enter in to quadcopter hobby. Flight time is 6-8 mins. What are the Factors to be considered before buying a drone? For buying a drone the design and quality of the drone also matter, which shows how strongly the drone was built. An ideal drone should resist its strongness even for a medium crash. If the drone was built strong, then you can worth it. If the drone has a built-in camera, the Camera pixels are to be considered. Many companies nowadays offer built-in camera even for toy drones. The camera pixels ranges about 0.3 to 2 MP for a toy drone. If the Drone has a 2 MP HD camera, then it is best suited for beginners to learn flying a drone. Battery Life is the primary factor to consider. The less the Charging time of the battery the more you can enjoy flying drone. For an average toy drone, the flight time starts from 3 to 10 mins. If the flight time is more, then you can enjoy flying more time. Most of the drones are remote controlled quadcopters. The control range is also an important thing to check before buying a drone. For a toy drone, the control range starts from 30m. 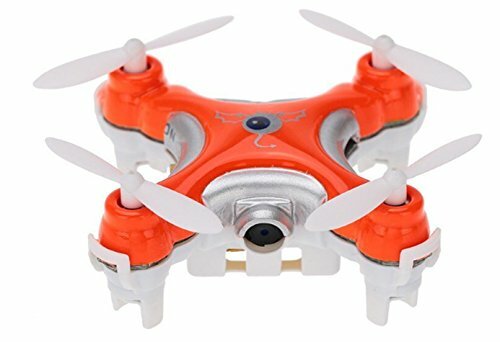 Finally, with my experience and knowledge these drones are best known cheap drones under $50 which you can afford to step into the world of quadcopters. These are considered as the best remote control drones which you can afford.